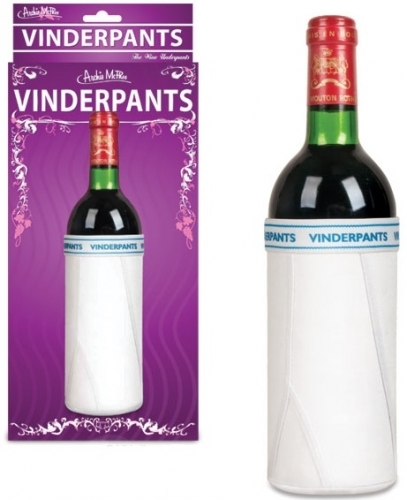 Don't let your favorite wine sit naked at the dinner table. Give it a Vinderpants Wine Caddy! 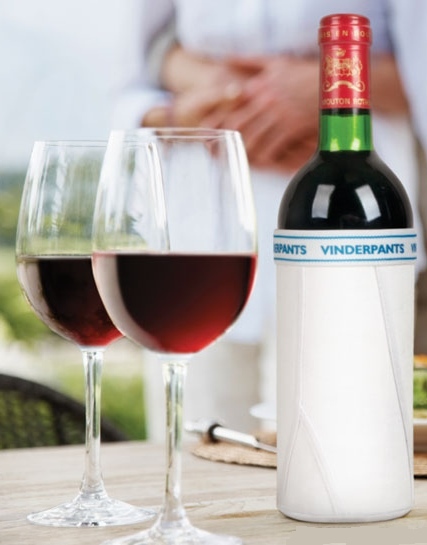 Your bottle of wine may not have much of a pedigree, but at least with the Vinderpants Wine Caddy, it doesn't go running around naked like a classless Brut. This is the perfect gift for a wine connoisseur with a sense of humor or conversation piece to break the ice at your shindig.